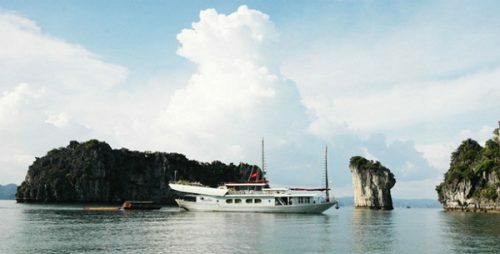 Discover the splendors of Halong Bay aboard the Ginger Junk Cruise an Indochinese 1920s classic outside and modern comfort inside yacht which houses ten luxury cabins, every luxury sleeping cabin has its own make it possible for tourists to enjoy an excellent view of Halong Bay. 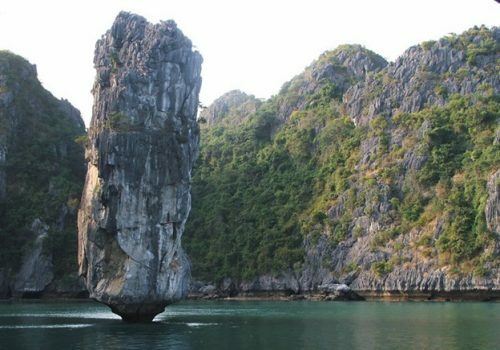 Halong Bay Vietnam attracts tourists all over the world not only by its charming archipelago’s beauty but also by the three-thousand islands which are home to many rare plants, including species found nowhere else in the world. 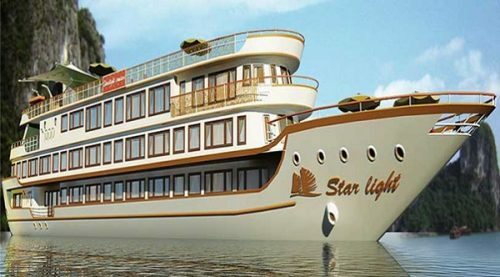 The name of the boat – Ginger Cruise Halong Bay – was chosen because of this reason. With the root of its name from one kind of plant, the cruise junk is perfectly accordant to this environment. The Halong Ginger offers an unforgettable ambiance of relaxed elegance with its golden sails, polished woodwork and refined, Asian décor. 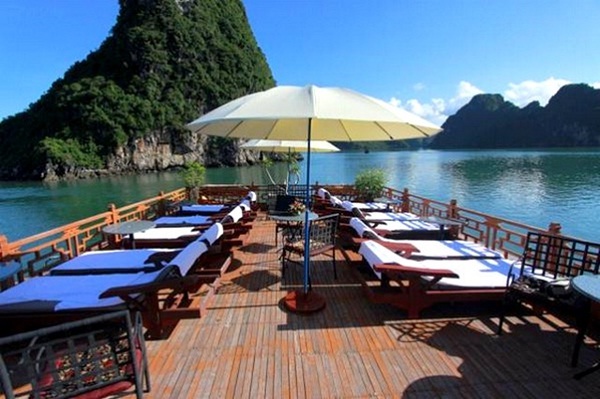 Come to enjoy and see Halong Bay in style. 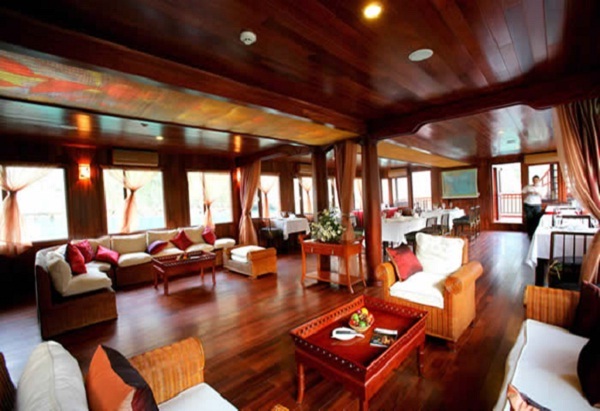 With available dial-up internet access, conference and meeting equipment, safety box, IDD at the reception, boutique, library (rental and exchange only) and 24/7 security, Ginger Cruise Halong Bay is also a suitable place to hold conferences and ceremonies. 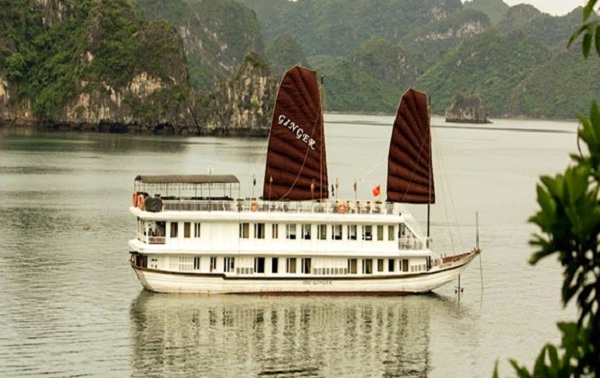 Now trips on Ginger Cruise are supplied by many travel agencies but our Indochina Voyages with the best service offered by friendly, well-trained staff ensures to bring you unforgettable memory.